The Bermuda to Hamburg sailing race featuring 17 teams with over 150 sailors from 14 different countries is set to get underway on Sunday [July 8] in Bermuda. About 50 local students were provided with the opportunity to ‘meet & greet’ German Boris Herrmann, aboard his IMOCA 60 Malizia. 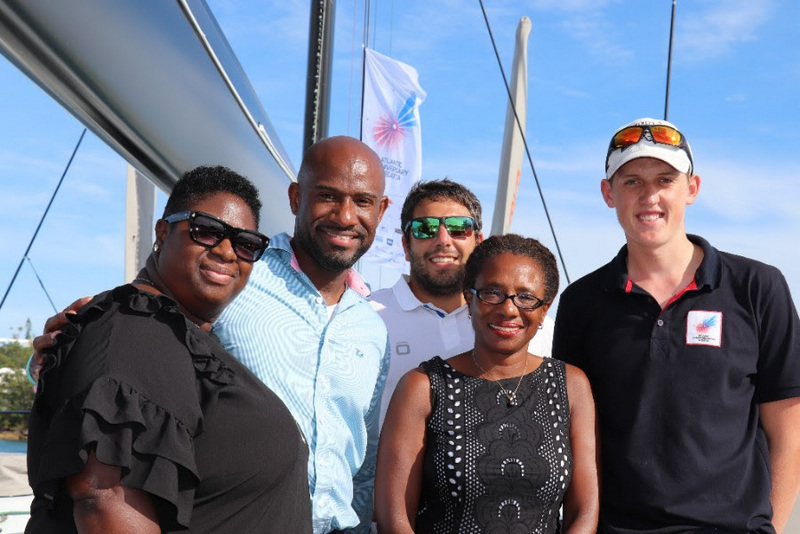 A spokesperson said, “The subtropical island of Bermuda is globally known for its heartfelt hospitality and pristine sailing conditions, which all 150 participants of Atlantic Anniversary Regatta [AAR] were lucky enough to experience first-hand in the past few days and weeks. “The regatta celebrates the jubilees of two of the most prestigious European yacht clubs. Leading up to the Bermuda race start on Sunday, July 8, youth sailing programs and the Bermudian public have been invited to join the festivities. “Several events took part in the week leading up to the start event in conjunction with local partners such as the Bermuda Tourism Authority and Goslings Rum. 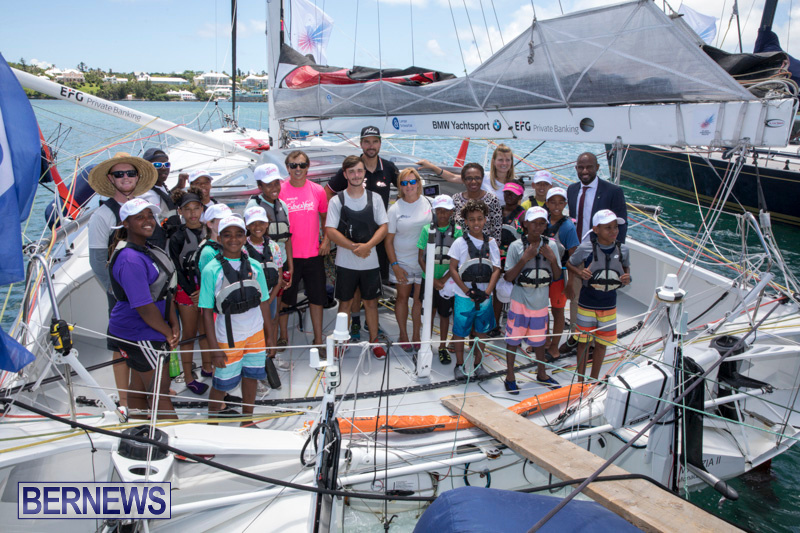 The ‘Open Ship’ invitation extended to local sailing youth programs included Endeavour Community Sailing Programme, Royal Bermuda Yacht Club and Royal Amateur Dinghy Club. “About 50 local students were provided with the opportunity to ‘meet & greet’ one of the most renown offshore sailors in the world, German Boris Herrmann, aboard his IMOCA 60 Malizia [Yacht Club de Monaco]. “Happy giggling could be heard all the way from the dock back to the club house, when the group of youngsters and their coaches explored the yacht, checked out where a pro-sailor lays his head, what astronautical dry food tastes like, and how the technical set up of the foiling 60-feet ocean racer is designed to bring the crew safely to the other side of the big pond. Youth sailors and team managers from the local Endeavour Community Sailing Programme meeting skipper Boris Herrmann and Malizia Education Manager Birte Lorenzen onboard Malizia, alongside AAR sponsor Bermuda Tourism Authority, represented by Pat Phillip-Fairn and Glenn Jones. Malizia Education Manager [and school teacher] Birte Lorenzen adds: “The Malizia Education program helps scientists to understand the oceans’ role in climate change and brings the maritime and environmental topics to schools in cooperation with two scientific institutes, Max Planck Institute and Geomar. “Malizia will have a sensor onboard to measure CO2 temperature and salinity, which is part of an Ocean Challenge that addresses the challenge of helping scientists through provision of data and sensitising the next generation about the health of the ocean. “The school program includes an educational kit aimed at more than 10 schools in 5 countries, as well as about 100 schools in Germany alone.” Herrmann concludes: “It was an absolute must for our team to welcome local students onboard and exchange ideas with local sailing coaches in Bermuda. onboard the award-winning Maxi Yacht Rambler 88. Photo by Louay Habib. The spokesperson said, “Malizia Education invites local groups of children onboard the yacht at every major stop-over. Including local communities at each race village is part of the spirit of the overall AAR and the NRV as well. 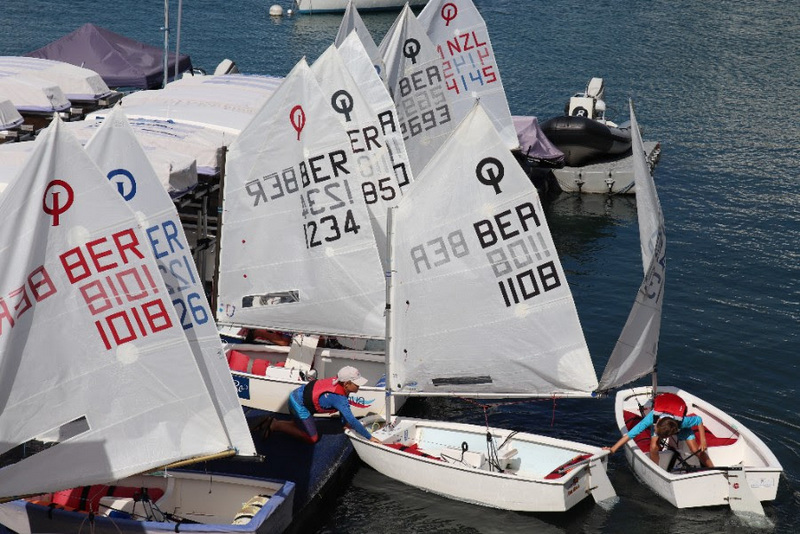 “NRV is managing their own youth sailing programs in Germany, including annual sailing events on J70 boats for kids and teenagers who are in-patient in psychological treatments as part of experience-based training and development. The German yacht club further cooperates with local schools to offer physical sailing education sessions to their pupils. “On Saturday, July 7, the Royal Bermuda Yacht Club will open its doors to the public for a Marina Viewing. Everyone in Bermuda is invited to ‘walk the dock’ and look at the race yachts moored in the marina. Youth sailors arriving at the Royal Bermuda Yacht Club for the Malizia experience on Optimist boats. Patricia Phillip-Fairn, Chief Product and Experiences Development Officer at the Bermuda Tourism Authority, comments: “We toured some of the racing yachts earlier this week, including Rambler 88, which is truly magnificent. We encourage the public to have a look around on Saturday during the open dock walk. The spokesperson concluded by saying, “The Hamburg to Bermuda regatta has attracted approximately 150 international sailors and a large group of volunteers and spouses to come to Bermuda.